In this post I want to talk about readers, specifically “beta readers” or pre-readers who are willing to read your writing with an eye towards providing useful feedback that can make your project stronger. For many writers, the thought of sharing writing that is less-than-perfect with anyone can be nausea-inducing. And it’s true—sending someone your unpolished proposal or manuscript or essay can be excruciatingly difficult. Because suddenly your personal writing project is open season for a chosen few, and you’re not looking for platitudes or flowery compliments. No, you’re looking for the truth, for honest feedback on what works, what doesn’t, what has to go, and what needs to stay. Before I get into the HOW, I want to spend a minute on the WHY. As in, why would you submit yourself to this level of scrutiny at this stage in the process by using beta readers? It’s simple. Good beta readers may be your most important readers if they’re willing to honestly critique your work in a way that helps you get your manuscript or piece of writing where it needs to be. Because when it comes to submitting to agents or publishers or magazines and so on, most of the time there are no do-overs. You want your writing to shine as brightly as possible when you’re ready to share it with the world. 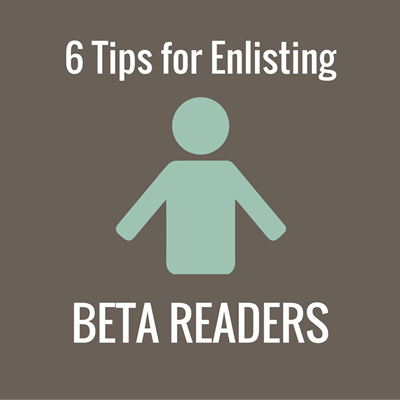 Beta readers will do things like catch spelling and grammatical errors, identify flaws or gaps in your story, and let you know when the structure or flow of a piece isn’t working. It’s not all bad news though…if you’ve chosen your beta readers carefully, you’ll also get supportive feedback from people who want to see you succeed. Knowing their goal is to get your writing where it needs to be should be enough to get you through their feedback, no matter how hard it is to digest. Have I convinced you yet that you and your writing will benefit from beta readers? Good. Here are some guidelines for making the most out of this important step in the revision process. 1. Don’t share early drafts of your work. Ideally, beta readers are reading your revised writing (see post on revision strategies), not the rougher writing of crappy first drafts. This is for two reasons: 1) you want your readers to still like you when you’re done—reading crappy drafts creates more work for your readers as they have to imagine the next stage of your writing’s evolution, and 2) you’ll get a lot more out of your beta reader if he or she is critiquing more refined work. When you can apply their comments to a more polished piece of writing, you will have a very solid, nearly final piece by the time you’ve finished. 2. Carefully select your beta readers. Ideal beta readers are readers who either a) make up your ideal audience for your writing and/or b) have writing / publishing expertise and can therefore bring a professional eye to the project. But just as important as these qualities is this: it’s paramount that you share your writing with people who respect you and your process, can be gentle while delivering critical feedback, and are highly supportive of you and your writing goals. Dream crushers, disgruntled artists, and other such Debbie Downers need not apply. 3. Use only a few beta readers. A couple (two or three) of fantastic beta readers is much better than a dozen mediocre ones. Also, there’s that whole “too many cooks in the kitchen” thing that can be the death of creative ventures. If you carefully select two or three beta readers using the criteria above, their feedback should be more than sufficient for your project. The exception would be if you receive widely varied insight from three different readers and you want another set of eyes to help you make sense of the feedback. 5. Make it as easy for people to participate as possible. Give your writing to your beta readers in whatever format is easiest for them to access (Google Docs, Word, PDF, email text, etc. ), be cognizant of their busy schedules and allow for plenty of time for review and feedback, send timely and gentle reminders as your deadline for feedback nears, and limit back and forth communication to what’s absolutely necessary. 6. Read feedback from different readers all at once. If you’re sending your writing to more than one beta reader, I highly recommend holding onto the feedback until you’ve gotten it all in, and then going through each critique at once, one after the other (as opposed to diving in as feedback dribbles in). Why? Because there is a temptation to be reactive to certain types of feedback and make revisions right away. But then another set of insights might elicit a completely different reaction and before you know it, you’ve lost sight of what you were trying to write about in the first place. By setting aside time to digest feedback all at once, you can do so slowly and thoughtfully, making notes about comments that resonate (or not). Then you’ll be ready to decide which feedback will ultimately influence your finished project. Congratulations! If you’re ready for beta readers, you’re nearing the completion of the writing and revision process. In my next post, I’ll write about the copyediting process.